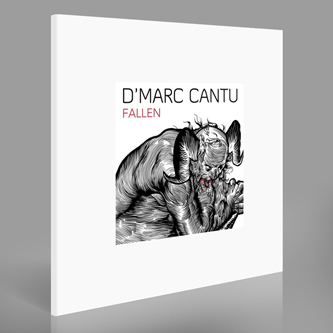 Chicago's D'Marc Cantu - partner of JTC in 2 AM/FM - delivers a heavyweight debut album. Much like his previous releases for Crème Organization and those aces for M>O>S, 'Fallen' is superbly balanced fusion of raw, rugged machine wrangling and sophisticated synthwork; rhythms which own your body and sounds that hypnotise and and seduce. If you're only gonna check a few, make sure to witness the clenching killer 'Oh My', the Italo-styled ace 'Say It And Its Time' or the dramatic 'Fallen'. Very smart pick for the jak connoisseurs.